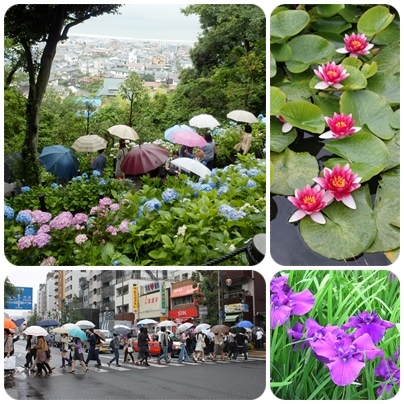 The rainy season in Japan is called Tsuyu. Tsuyu means plums and rain, because Tsuyu begins when Japanese apricots are ripening. The Meteorological Agency officially announces the start of Tsuyu (Nyubai) and the end of Tsuyu (Tsuyu-ake) in all regions.